To an unlearned racing fan, a race card may be an insignificant piece of paper. But for a wise racing aficionado, a race card holds a wealth of information necessary to be successful at handicapping horse, harness and greyhound races. Analyzing all the information in a race card can be a complex process. There are no inherently "fool-proof" ways to handicap horses or greyhounds, and lifelong racing fans say they learn something new every race. A race card contains dozens of information, but here are simple angles that you should watch out for. Take note of these angles, utilize them where they make sense, and have fun developing a set of angles that work for you. Some horses and greyhounds run well after an extended period of rest, and some trainers excel with this move, too, getting a horse or greyhound ready to run one big effort after resting for an extended period of time. If a horse or greyhound is running off of an extended rest or a 'layoff', this angle should be considered. It's only logical that horses and greyhounds will show improvement on the race track when moved to a new trainer who conditions his horses or greyhounds in different and sometimes more effective ways than the trainer who previously conditioned the horse or greyhound. Some horses just love certain racetracks and aren't nearly as successful elsewhere. A great example is Lemon Drop Kid, who won the Futurity at Belmont as a 2-year-old but never threatened in subsequent stakes races in Kentucky. When he returned home to Belmont he ran a huge race and won the Belmont Stakes at 29-1! Lemon Drop Kid was a horse for the course. He loved Belmont Park. If you see a horse that shows a particularly strong record at today's track, take note because he may be a horse for the course. Some horses excel going from turf to dirt, or vice versa. Why? Turf is sometimes a less jarring surface than dirt. Therefore, if a horse has been racing on turf while his competition has been slaving away on dirt, the turf horse that is back on the dirt might have an advantage. And some horses excel going from dirt to turf because they prefer the more forgiving nature of the grass. Treatment with Lasix sometimes leads to a dramatically improved performance from a horse. The medication is prescribed when a horse has bled. Bleeding is a result of the rupturing of tiny blood vessels in the lungs, which is usually caused from overexertion in a horse's previous race. If you're looking for the big improvement with a horse running on Lasix for the first time, it's best if you see a solid workout since his last race. This indicates the horse may be training well on Lasix and should be ready to 'pop' first time out on this medication. Sometimes horses will show big improvement on Lasix when running on the medication for the second time. If the horse didn't show big improvement first time on the medication, second time Lasix can be an interesting angle, too! Always look at the DRF Trainer Stats at the bottom of each past performance to see if a trainer has a positive history with horses running First-Time Lasix. If they've won 15 to 20 percent or more with their horses adding Lasix for the first time, this is a very positive sign that the horse's performance should improve with the addition of Lasix. Horses adding Lasix for the first time who are 2- 3- or 4-yearsolds, or are that age and coming over from Europe for the first time, are more likely to 'pop' first time on Lasix than older horses. Some horses and greyhounds just love certain distances. Others have the ability to handle tricky distances that many horses or greyhounds struggle with. For example, when you see a horse running a marathon distance of 1 1/2 miles, you should understand that 1 1/2 miles is a distance that many horses just can't handle. Fortunately, race cards provide this crucial distance data in the career box. This data helps you find horses that have previously excelled at tricky distances such as 1 1/2 miles. If you see a horse that shows a particularly strong record at the distance on that surface, take note - he may be a distance specialist. 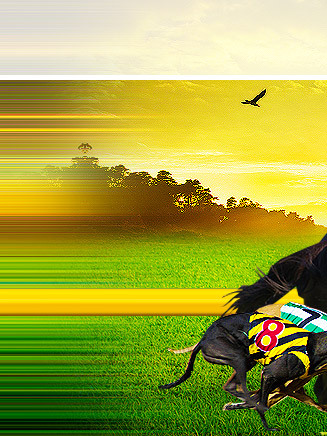 Place a bet on your favorite horse or greyhound now. Win - You are a winner if your horse is the winner of the race. Place - If your horse finishes first or second, you are a winner. Show - If your horse finishes first, second, or third you are a winner. Across the Board - If you want to bet one horse to win, place, and show, you may simplify the bet by telling the mutuel clerk that you wish to wager, for example, "$2 across the board on No. 4." That's the same as asking for a $2 win, $2 place, and $2 show on No. 4. Daily Double - A wager calling for the selection of the winning horses in two designated races. Most racetracks offer a daily double on the first and second races. If you bet a "2-6" daily double, No. 2 must win the first race and No. 6 must win the second. Exacta (or Perfecta) - A wager calling for a selection of the first and second horses in a race, in their exact order of finish. If you bet a "3-4" exacta, No. 3 must win and No. 4 must finish second. Trifecta (or Triple) - You must select the first, second, and third horses in a race, in their exact order of finish. Pick Three - You win by selecting the winners of three designated races. 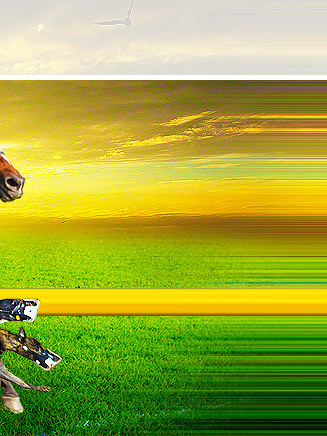 You can select more than one horse in each race, but the cost of your wager will increase proportionally. Also called the daily triple. 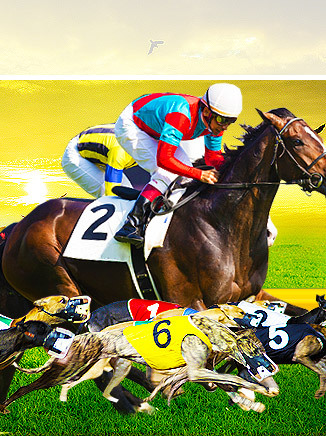 Pick Six - Not an easy task to select the winners of six consecutive races, but the payoff is usually very large depending on the number of bettors who can correctly select this winning combination. © 2007-2014 RaceCard.org may link to third party websites and software. We do not endorse, and are NOT responsible or liable for any third party content, products, or services available from such websites. Online gambling may NOT be legal in your jurisdiction. Do NOT gamble online unless you have verified that it is legal for you to do so.